Ice cream pot by Hong Rubinstein, artist. 16.5 inches tall, with lid. 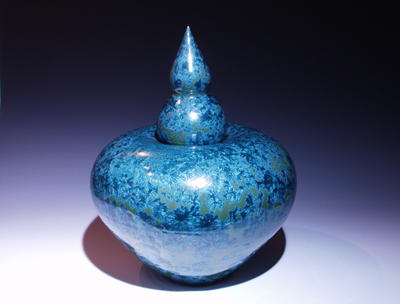 High fire crystaline glaze. wheel thrown and glazed by Hong Rubinstein. 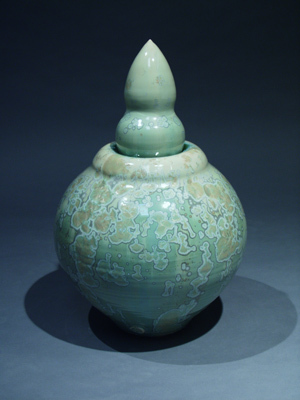 Lid has small ceramic balls inside embedded before firing, shaking the lid makes a sound, this vase is in the private Collection of a Long Beach Patron.